When would I ever want to pick a random point in a circle? Imagine you are working on a First Person Shooter as a Gameplay Engineer. Your job is to implement the shotgun firing mode. That means you need to fire multiple projectiles at once from a single round. Obviously a shotgun would not fire all the projectiles on the same straight line of sight. Shotguns fire rounds that break up into multiple projectiles that are spread out over a certain area. 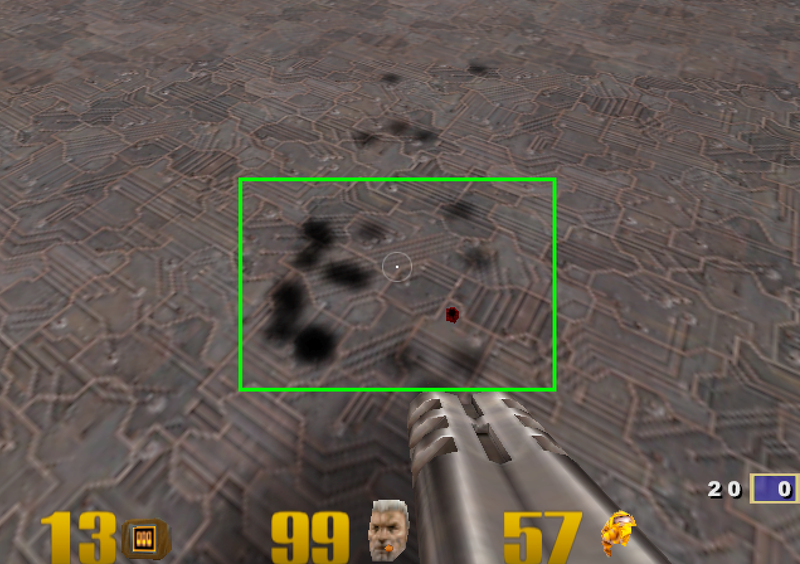 The shape of the area made up by the projectiles is circular because the barrel of a shotgun is circular. One way we could simulate the shotgun spread mechanic is by allowing a Designer to specify a max radius. We could then pick a random point from the center of our reticle to the max radius. How do we get a random point in a circle? There are several ways we could pick a random point in our circle. One way would be to pick a random point in a square. If the distance from the center of the circle to our random point is greater than our Designer’s radius, then we reject it and try again. Using the box method, we will get results that look uniformly distributed however there is a price to be paid. There is no way to guarantee how many random points you will end up with unless you sit in a while loop until you have all the points you want. You can use a while loop if you prefer but there is no way to know how long this operation will take. This might be acceptable if you are using the box method during an initialization process but if you need to pick random points in a circle per frame or in an update loop, there are much better ways of doing it. 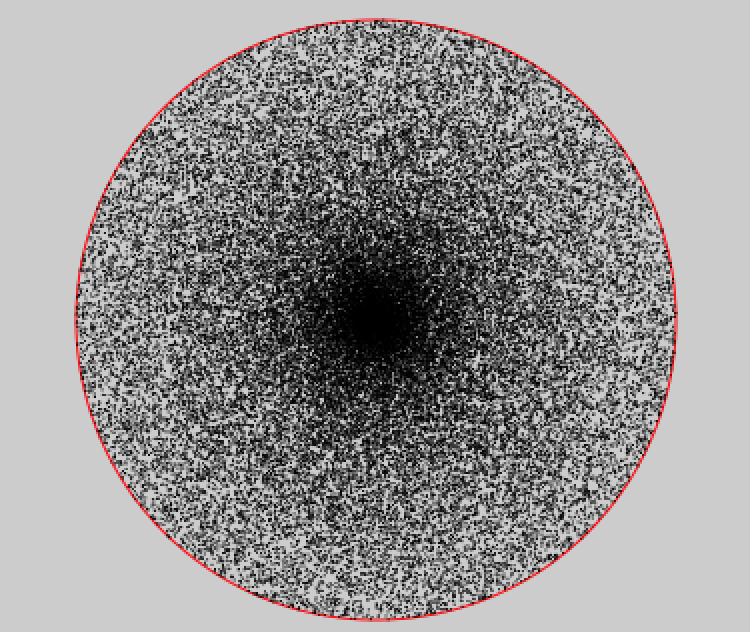 A more efficient way to pick a random point in a circle is to use polar coordinates. Typically, we use what are called Cartesian coordinates to pick a point on a graph. Cartesian coordinates have an x and y component. We move horizontally by however many units are specified by the x value and likewise do the same vertically based on how many units are specified by the y component. Polar Coordinates are just another way to pick points on a graph. Instead of moving linearly both horizontally and vertically, Polar Coordinates allow us to move more easily around a circle. A Polar Coordinate has 2 components similarly to the Cartesian Coordinate system. Polar Coordinate look like , where is the radius or distance from the center point of the circle and is the angle about which we rotate around the center point. To pick a random point using polar coordinates, we just need to pick a random radius and random angle. Notice how we chose more points towards the center of the circle than towards that outer edges of the circle. For some games, this spread may be appropriate. However what if you wanted your points to be uniformly spread out and not so dense in the center? 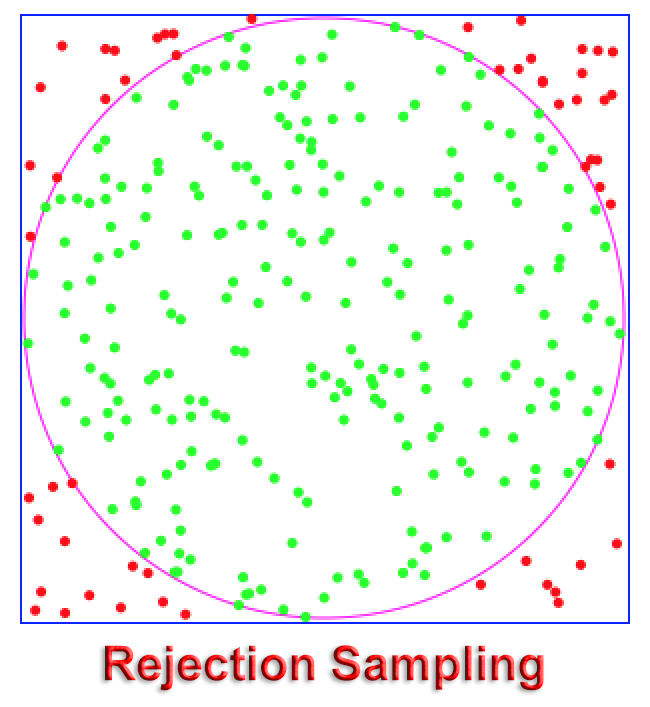 So why does randomly choosing an angle and radius make our random point selection more dense towards the center? Imagine you only have 50 points and you want to randomly distribute them about a very small circle. You will probably be able to do that just fine. However as you scale the circle out, you will start to have more and more area that you need to cover but not enough points to cover all the area because you are limited to only 50 points. Take a look at Figure 6 to visualize this. Lets start by thinking about what the area of a circle is. The formula for the area of a circle is . The area of a circle is agnostic to any kind of probability. So if we could derive the formula for the radius based on the area of a circle, we should be able to randomly distribute our points in a uniform fashion. Now pay close attention to the relationship between the the fraction and the area of a circle which is . In both math and philosophy, it is often wise to test the limits or extreme cases of a statement to find out whether that statement is logically consistent and what ultimate conclusions that statement may lead to. What would be the area of our circle if our radius was 1? So forget about what the *actual* radius is of our circle. Lets keep things simple and pretend that our circle’s radius is between 0 and 1. Our fraction means that when the Area is 0, and when the area is , then . However since we are taking the square root of our fraction, it gives less weight to lower values than does the earlier linear version we tried. That is exactly what we want because the problem we were running into earlier was that we gave too much weight to points closer to the center of the circle and not enough weight towards the edge of the circle. 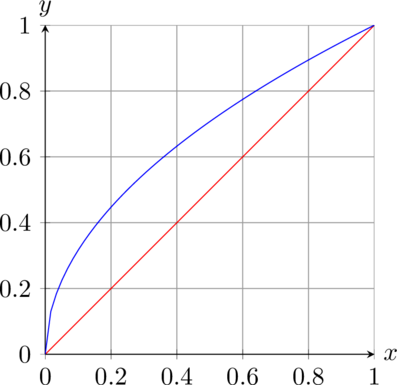 Take a look at Figure 7 to visualize the difference between square root vs linear weighting. So really we can substitute our fraction, , under the square root with any number between the values of 0 to 1. As seen in the graph in Figure 7, the value of will still be within the range of 0 to 1 which we can use as a percentage scalar to multiply by the actual radius! 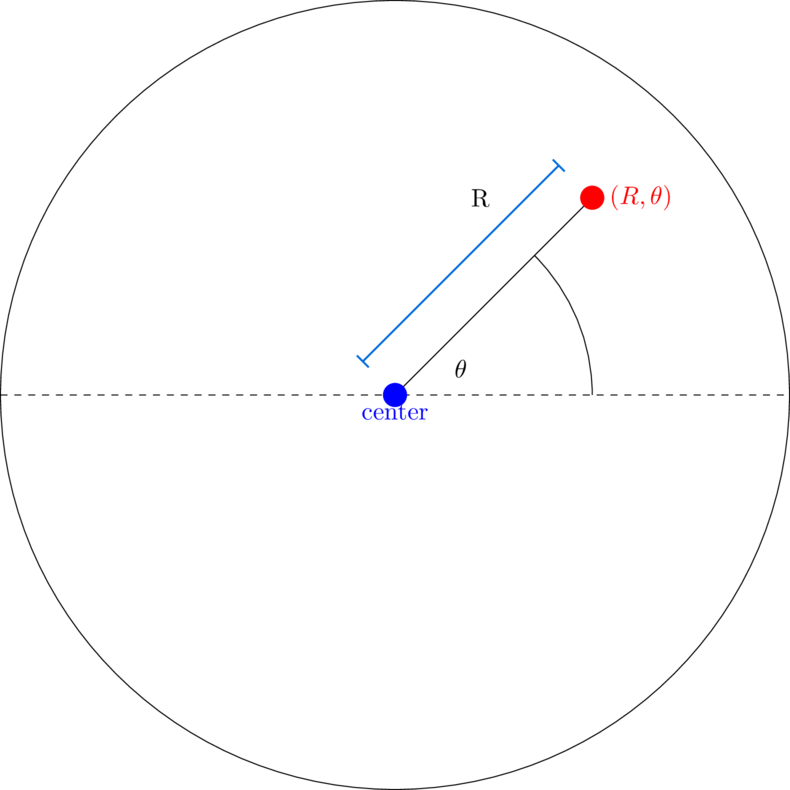 Figure 8 was generated via the following Processing sketch. Find more information about Unity’s “Random.insideUnitCircle” here. Hopefully by now you have gained insight with regards to picking a uniformly distributed point in a circle. Using polar coordinates gets you mostly there but you must also take the circle’s area into account. We do that by using the area of a circle formula to make our random radius proportional to the area of the circle. Most popular game engines like Unity already support a method to pick random points in a circle. However you should now understand what is happening under the hood. Until next time!